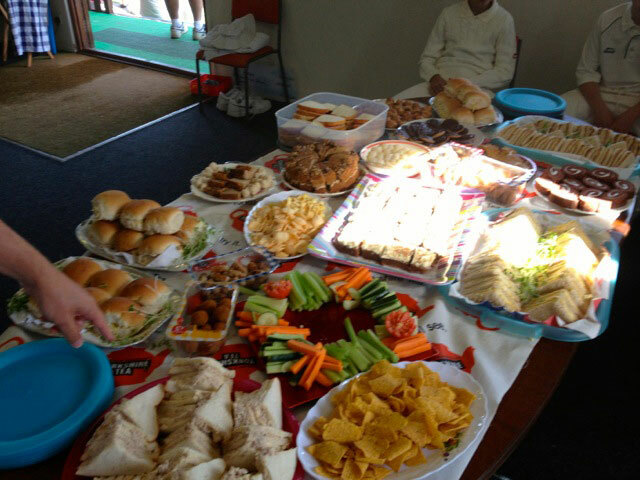 Some might say that the cricket tea to the average Casual is more important than the cricket itself - much more! 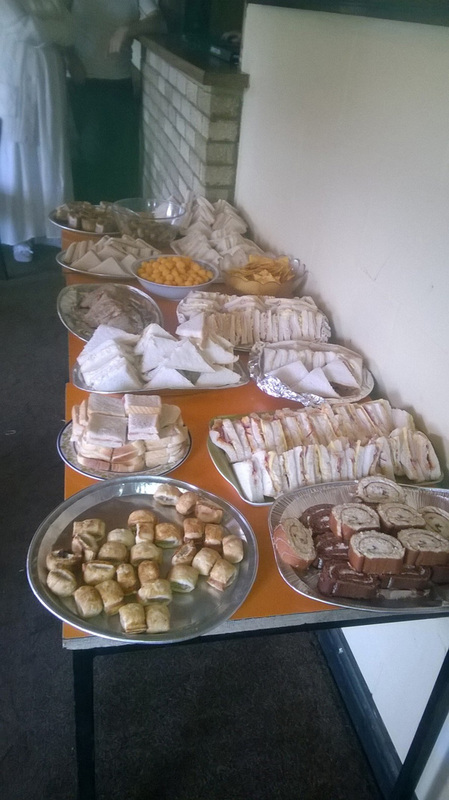 The cricket tea has developed over the years - when the Cardiff Casuals Cricket Club first started with players somewhat thinner than they are now, sandwiches, a slice of cake, washed down with a cuppa was all that was expected and provided. 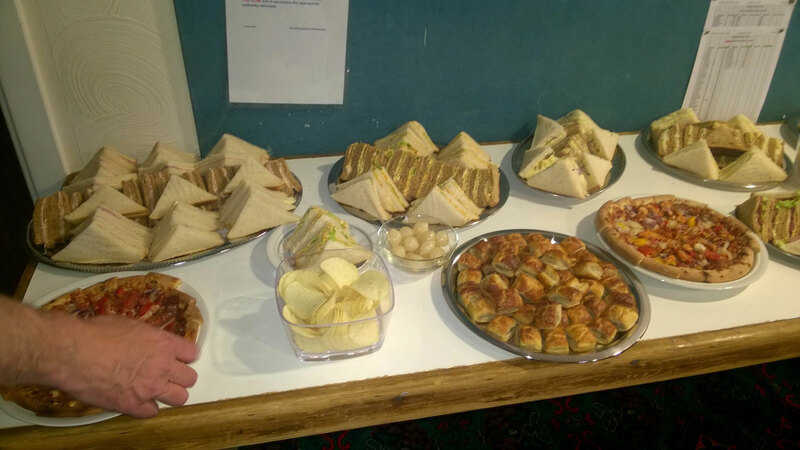 In 1997 Chris Durnal provided probably the worst Casuals Tea - 40 plain cheese sandwiches with Kiwksave value bread, tea with no milk or sugar and a frozen Sarah Lee Gateau with no knife or plates. 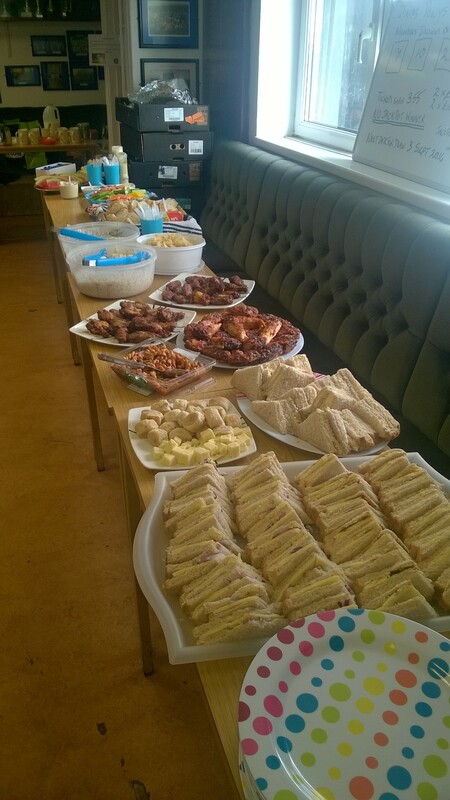 The Casuals tea approach had to change, so the decision was made - to arrange as many Away fixtures as possible!! This has worked very well, although we can't get away from having to provide the odd tea for a couple of fixtures a season. 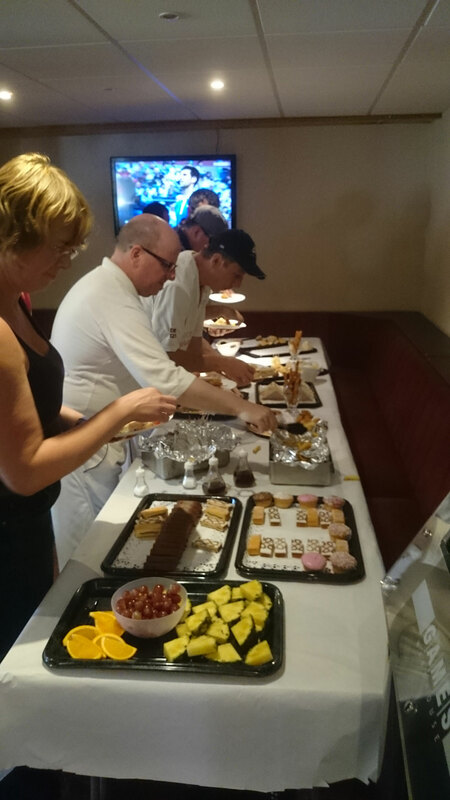 When the Casuals hosted the Lords Taverners Buccaneers for the Casuals 10th anniversary in 2003, one of the Founder Members - Foxy, pulled out all the stops to show the LTB true Casual hospitality. 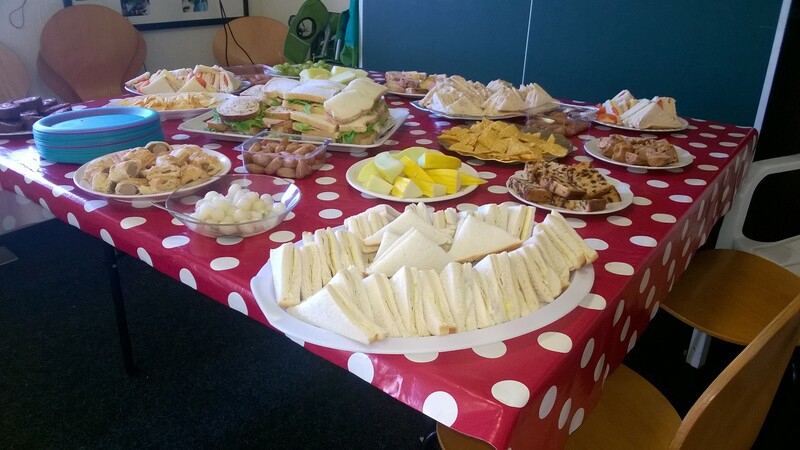 True to form, there were a variety of sandwiches ranging from cucumber to salmon - all with little flags showing what each were, mini pork pies, crisps, fresh strawberries and cream etc. 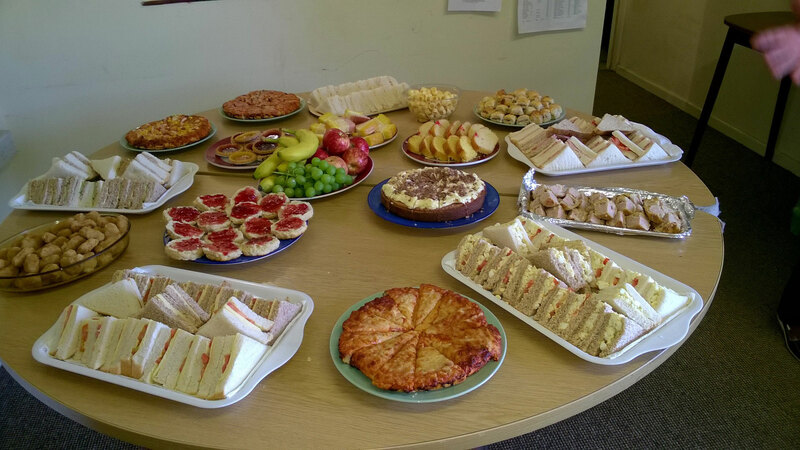 However the pièce de resistance was the cream tea. Unfortunately as the sun was out, the temperature in the 80s and no fridge...it wasn't so much a case of pouring the cream into the tea, rather cutting it into chunks and serving like cheese on sticks. See also Foxy's tactical tea masterclass. 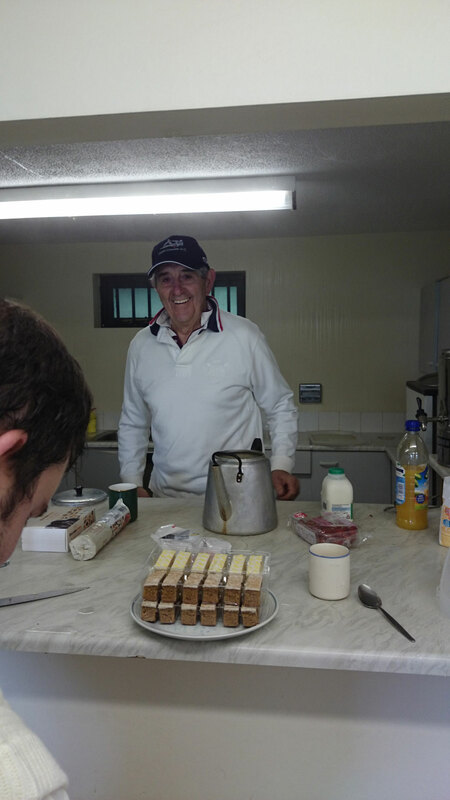 So from this season, we will place pictures of each Sunday Tea on the website and at the end of the season give 1st, 2nd and 3rd places to the best teas of the season via a vote (sadly we missed Barry Wanderers first tea of the season - also our picture evidence will hopefully get better!). 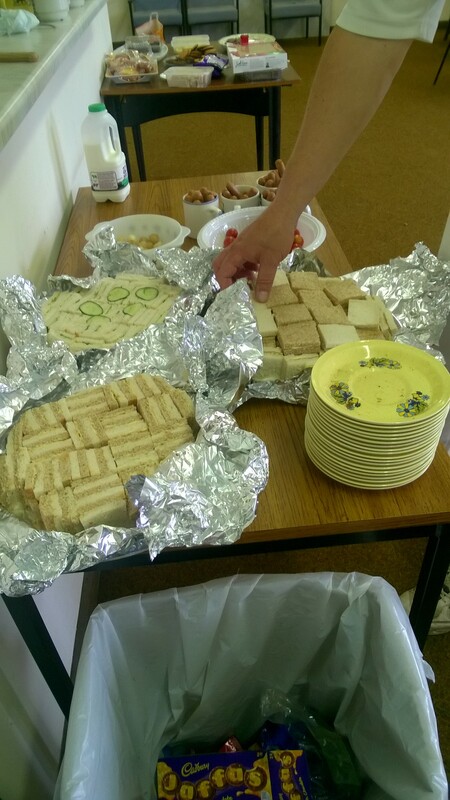 14 August 2016 - Dinas Powys - What was a really nice were slices of baguette and a selection of sliced meat, pate or cheese to go with them. 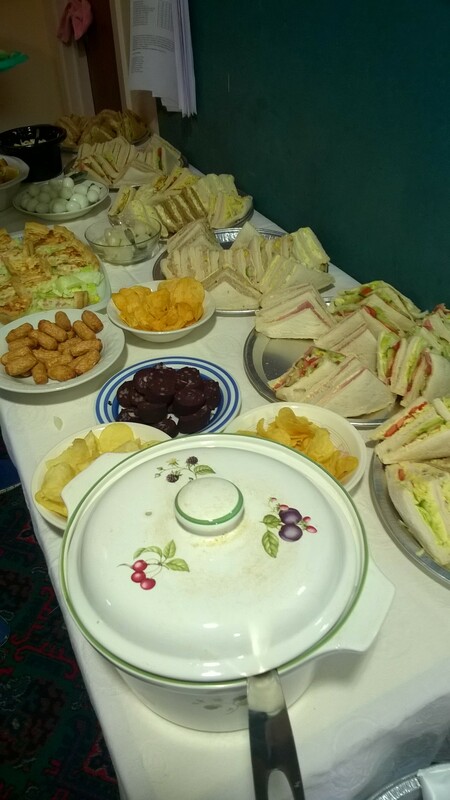 Cheese sandwiches came with onion or pickle, big bowl of some good coleslaw, and two types of pasta salad, which were all good. 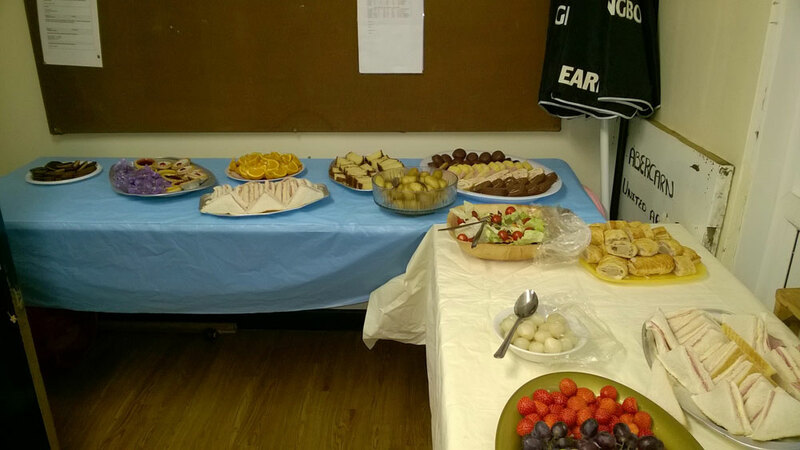 10 July 2016 - Wenvoe (vs Barry West End). 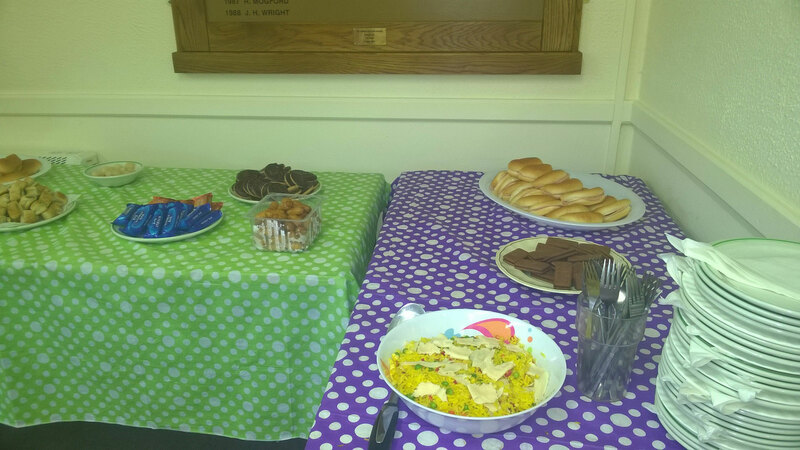 While the standards of ham and cheese were present, there we also some with lemon curd, some with a purple jam, and some cucumber. Very fitting as this was the final of Wimbledon. 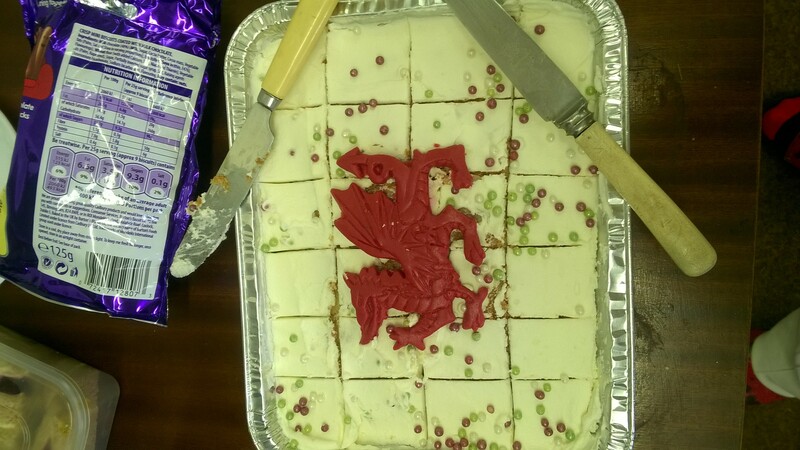 Steveo was confused by some that were half white and half brown bread, being able to distinguish were one ended and another began on the plate 10 July 2016 - Wenvoe (vs Barry West End).Patriotically, a tray bake with a sugar dragon rounded out the table, possible due to the Euro finals that day 03 July 2016 - Cardiff Cavaliers - an excellent tea, in both quality and quantity (reaching the dizzy heights of 9.5/10!). Someone had been raiding the Mediterranean deli shelves in Tesco,and came away with parma ham & salami, mozzarella, dried tomatoes and olives. 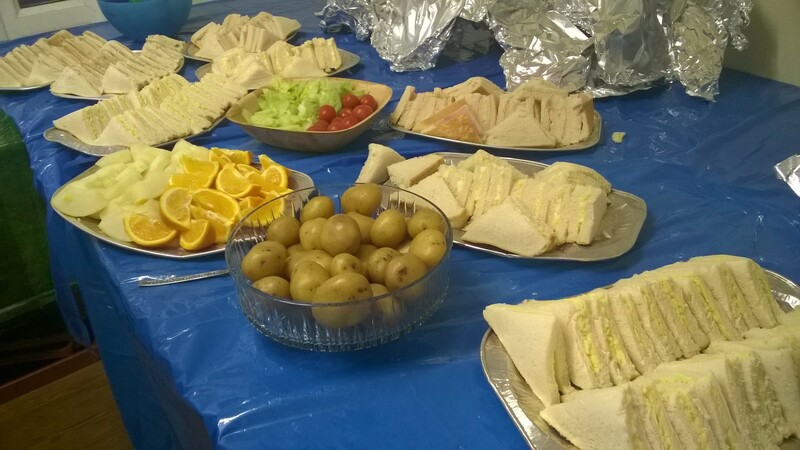 Ash quickly realised he could hack his sandwich with extra meat & flavour, which was a definite win.sweet stuff - highlights were many Jaffa cakes and an excellent homemade lemon drizzle, but there was a bunch more too. 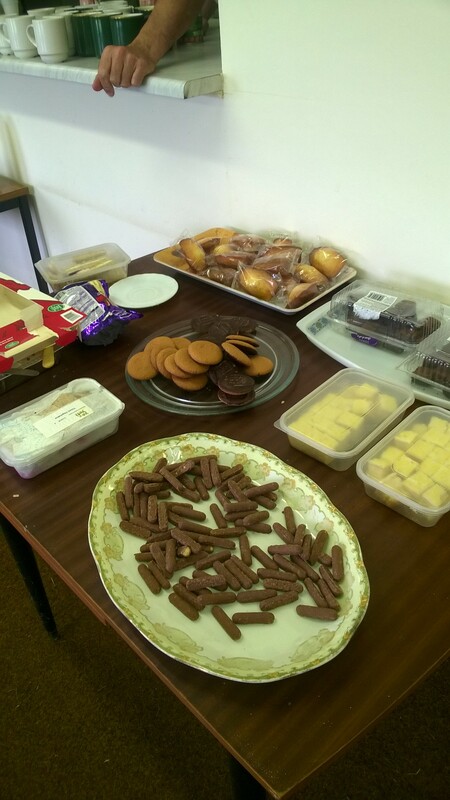 Chocolate digestives, Viennese whirls, some kind of chocolate biscuit or other 05 June 2016 - Abercarn - scones and cream was a nice touch. Always good to see jaffa cakes. 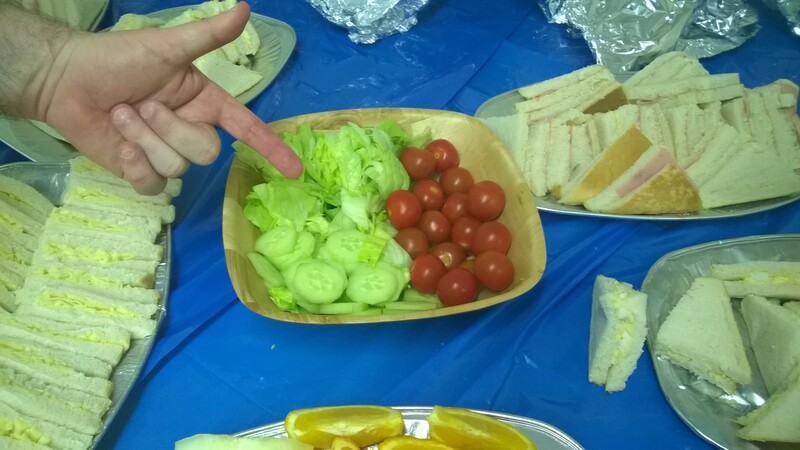 05 June 2016 - Abercarn - Shakey took exception to a bowl of salad, and I see now that someone went to the trouble of peeling a cucumber 05 June 2016 - Abercarn - Plenty of grub on offer at Abercarn, especially with only 9 players a side. 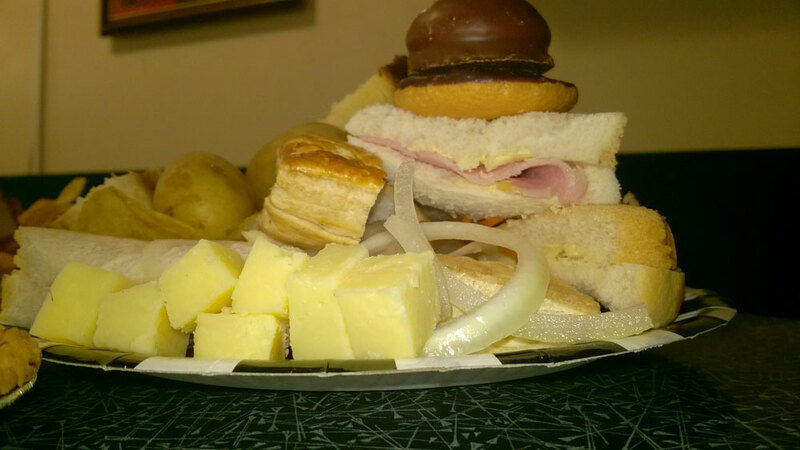 Loads of sandwiches, plates of them - cheese, ham, egg and tuna. 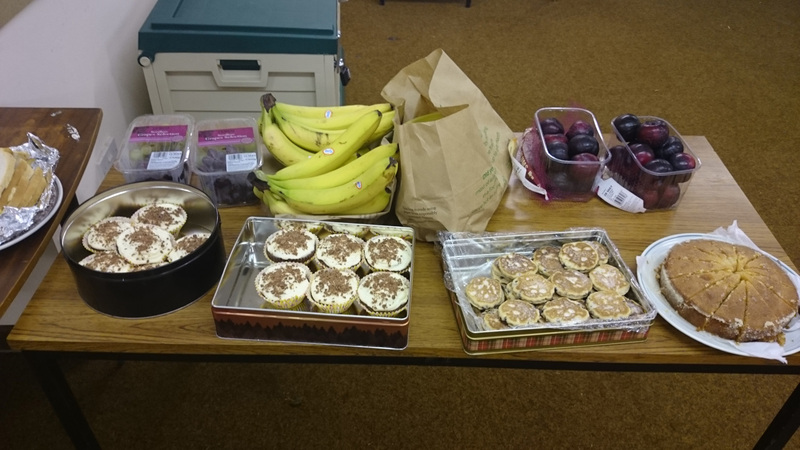 15 May 2016 - Wenvoe (vs Bargoed Outlaws) - So all the stops were pulled - even fruit made an appearance - actually far too much fruit (which has been marked down) 15 May 2016 - Wenvoe (vs Bargoed Outlaws) - Approximately £120 was spent on food, which was voted as excellent by tose who played, shame there wasn't asbout another 30 players to help eat it all. 17 April 2016 - Sudbrook - First game of the season - away to Sudbrook. Home of an excellent tea as always. 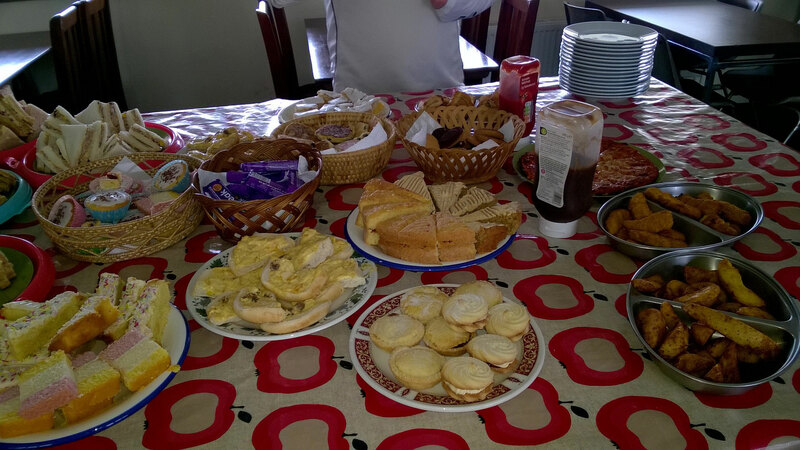 In the pot - boiled potatoes - marvellous 17 April 2016 - Sudbrook - There was also excellent sweets and a good cuppa tea. 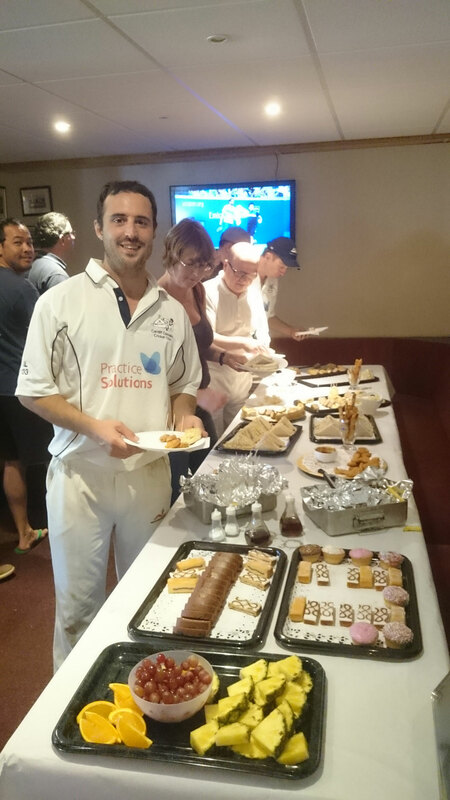 Tour game 2015 - match 1 vs Purley on Thames. 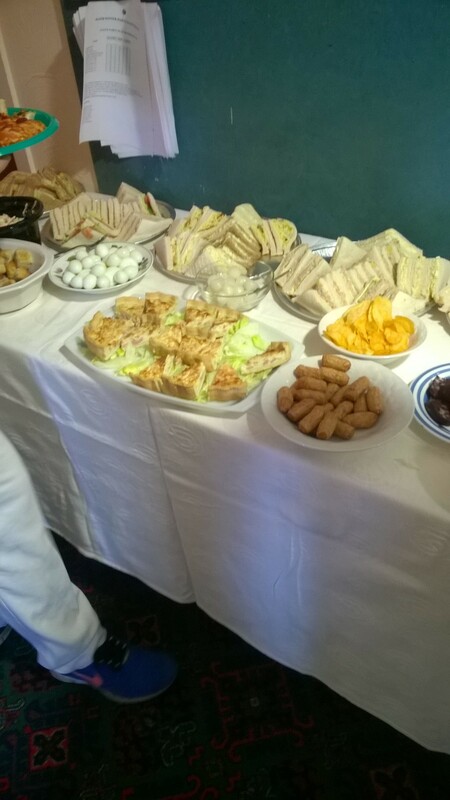 A large and plentiful - certainly helped soak up the alcohol!! Tour game 2015 - match 1 vs Purley on Thames. 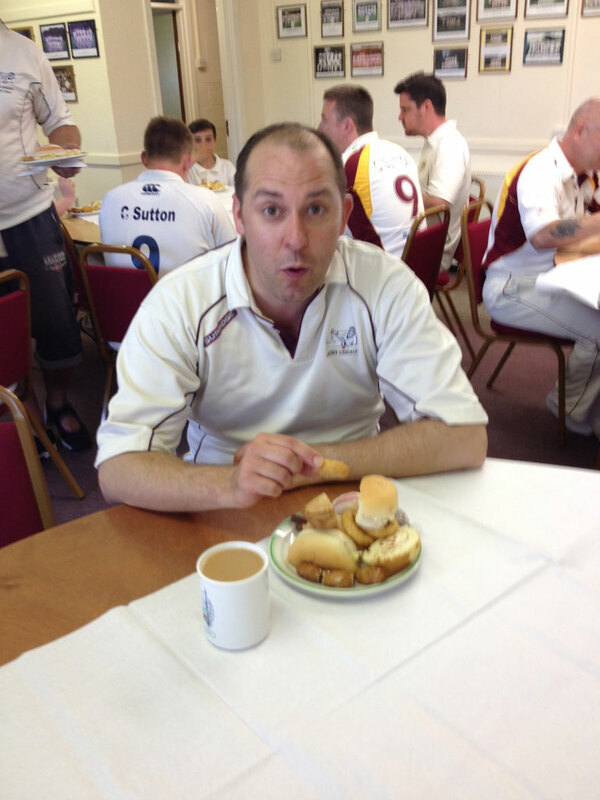 Tour captain Luvvers looking happy, even though the Cazh were set 250 to win. He does look a lot better than then night before! 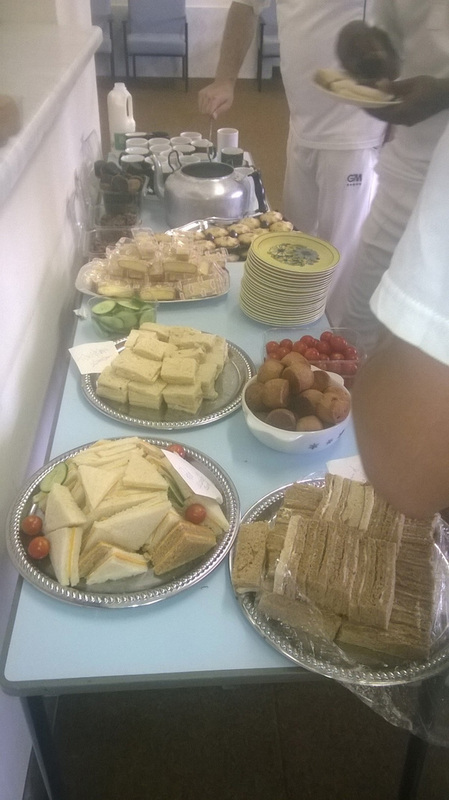 Apart from always playing less than 40 overs, the other tradition vs Clytha, is that there is no tea...well not at Tea time. 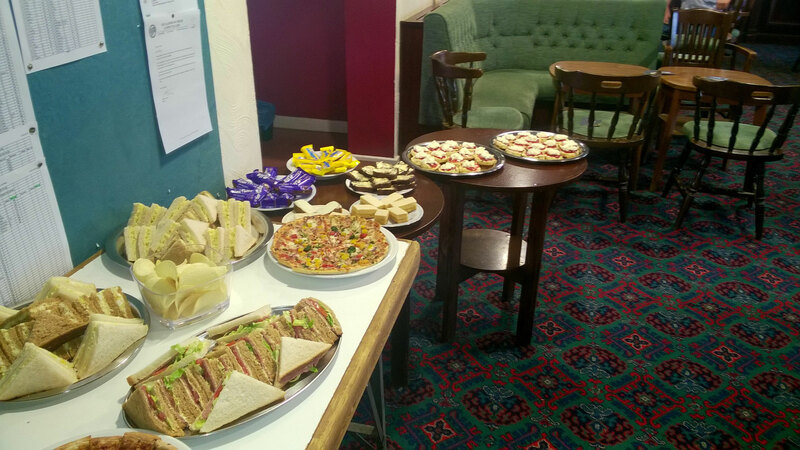 Tea occurs post match at the Clytha Arms pub. 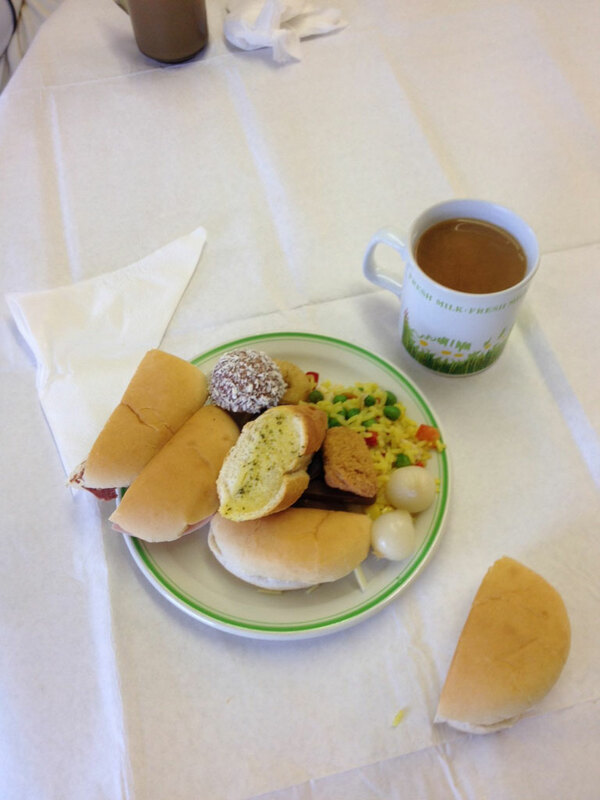 What you get varies depending on what has been on offer during that day - this year it was full roast!! This went down very well with the Cazh. Quantity and Quality were excellent. 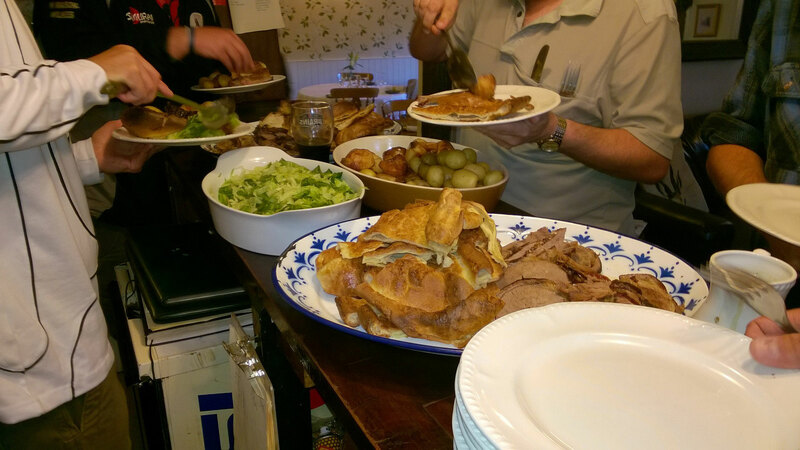 Roast beef, yorkshire puds, toad in the hole batter (a bit odd), roast spuds, boiled spuds, cabbage & gravy. Clytha. 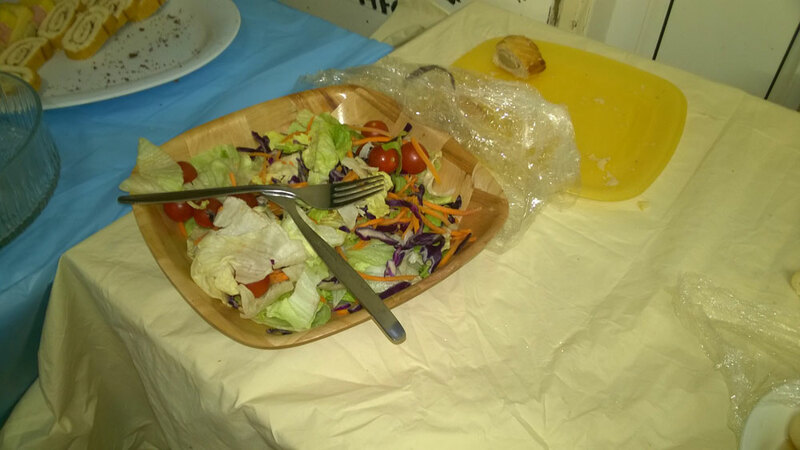 However, if you didn't like beef or you were a veggie, you were stuffed! 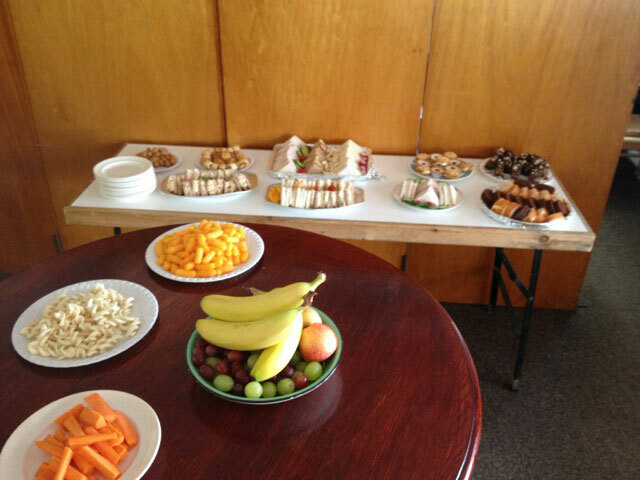 Plus the lack of cake or tea went against the score by The Tea Monitor. Pints are all well and good, but do need to be paid for. Therefore a controversial score of 5/10 has been awarded. 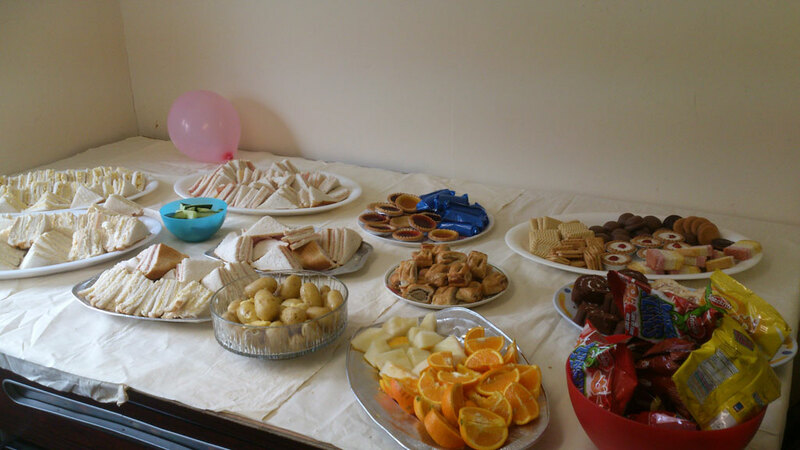 Abercarn, always a spread of quantity, this time was no different. 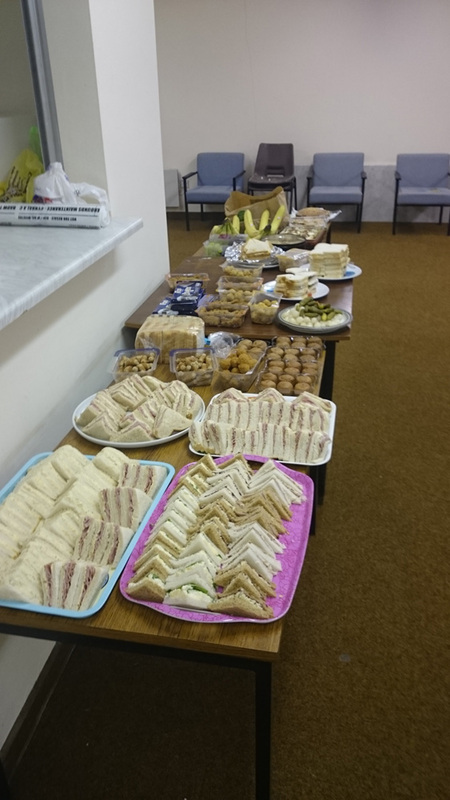 Sausage rolls, boiled potatoes, sweet pickled onions, big pickled onions (with a punch), egg, cheese and ham sandwiches, and a large bowl of salad - which was largely left by the fearing Casuals. 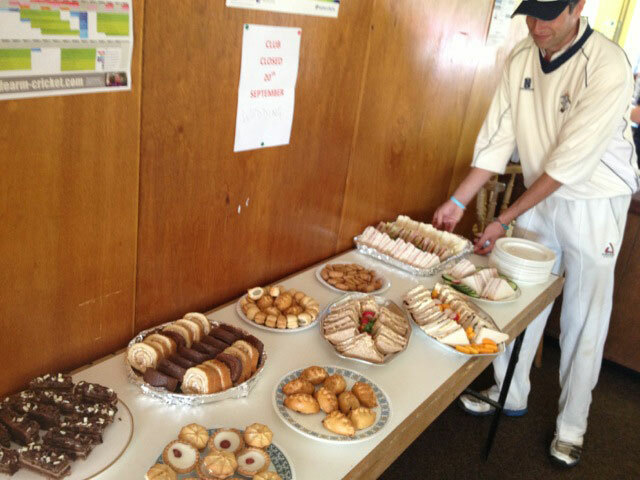 Cake - lemon drizzle (a firm favorite, bakewell tarts, jaffa cakes (yum), teacakes, and mini-rolls (to take to the field). The Tea Monitor gave an 6.5/10. 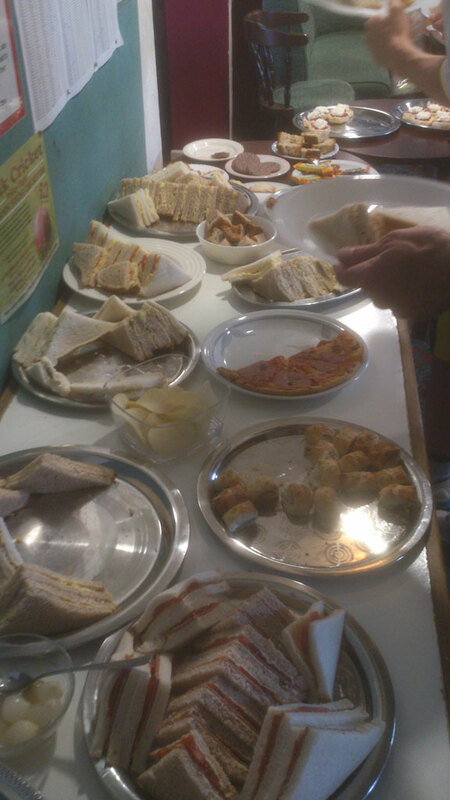 Abercarn, Experience showed when it came to the plates - some were not up to the rigours of supporting a full Casuals tea. Richie showed the way, architecting his way to a massive pile. 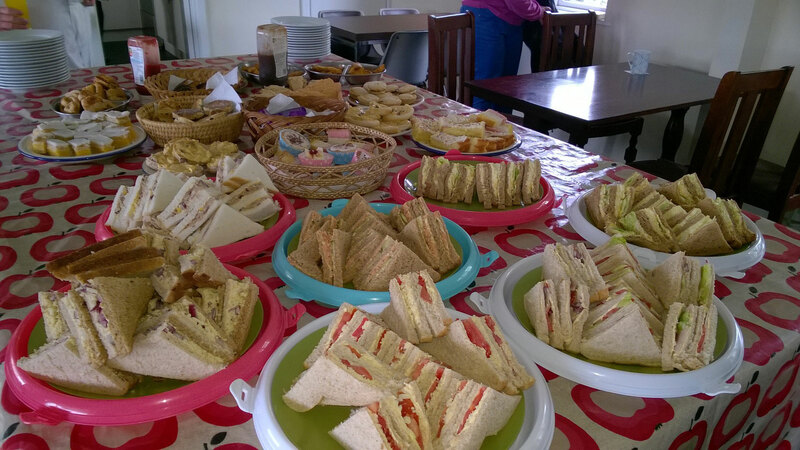 Barry Wanderers, home of the home made cake and plenty of food. 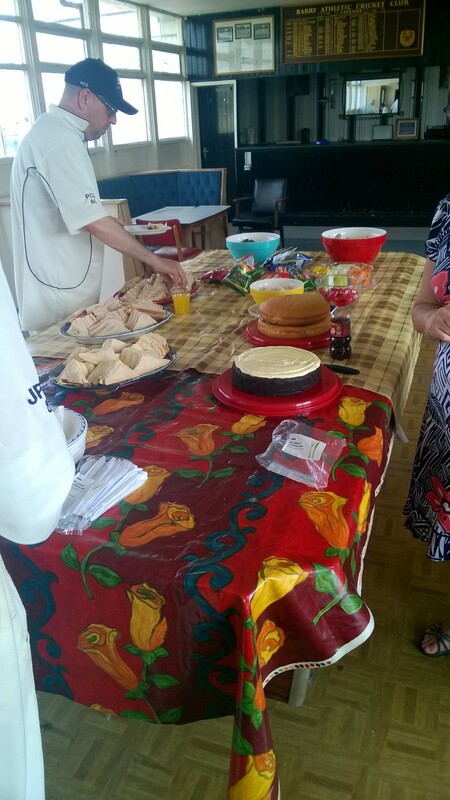 The highlight as usual was the homemade strawberry & cream sponge cake. 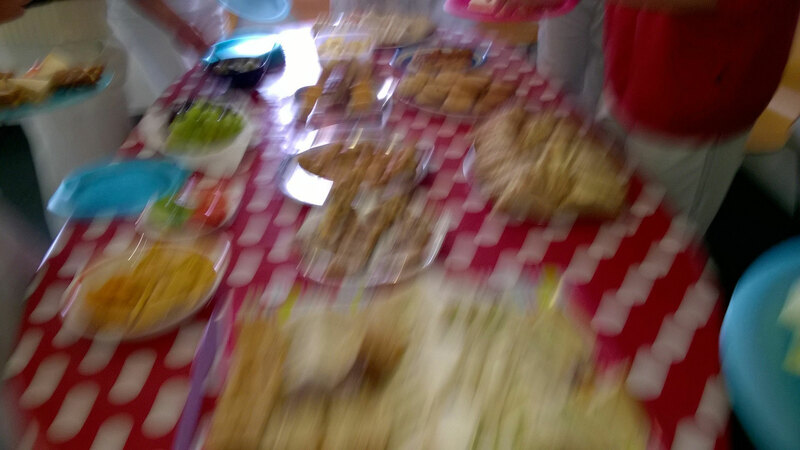 It was delicious as usual. 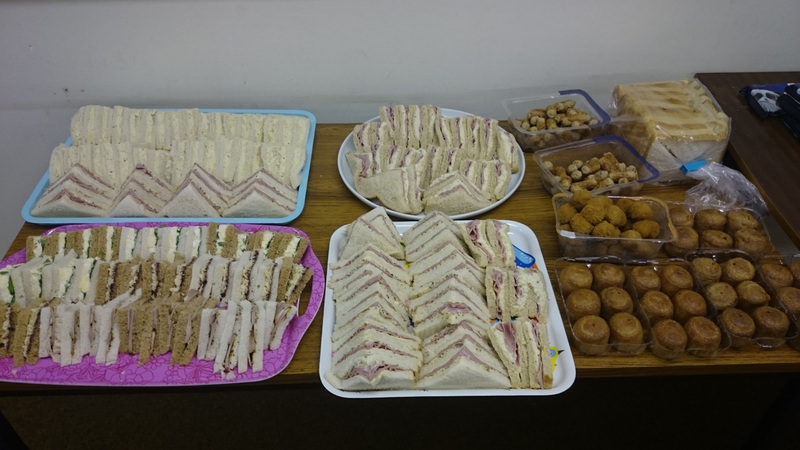 Slightly underfilled sandwiches, slightly less than normal, plus the standard of teas this season, The Tea Monitor gave an 8/10. On the road again, this time to Blaina. A freezing cold 5 layer day. 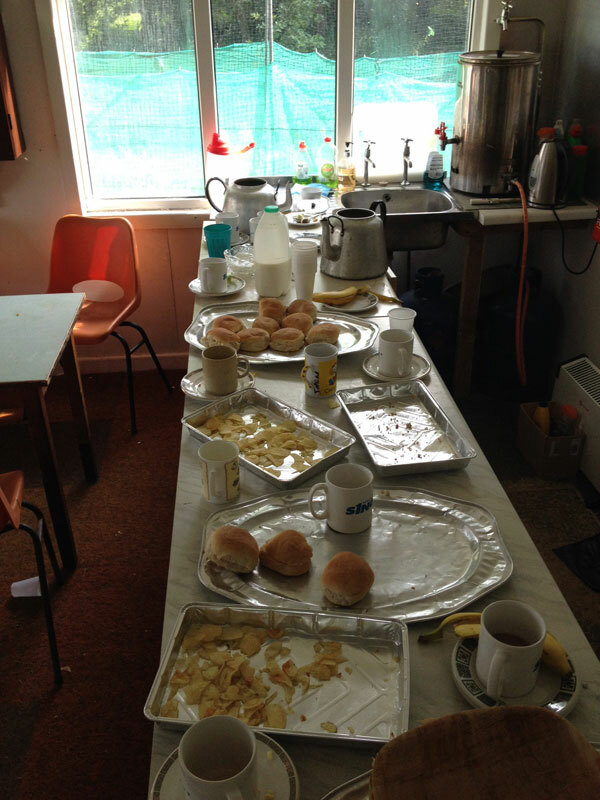 Tea was a welcome sight and after recent weeks Blaina had a hard act to follow. 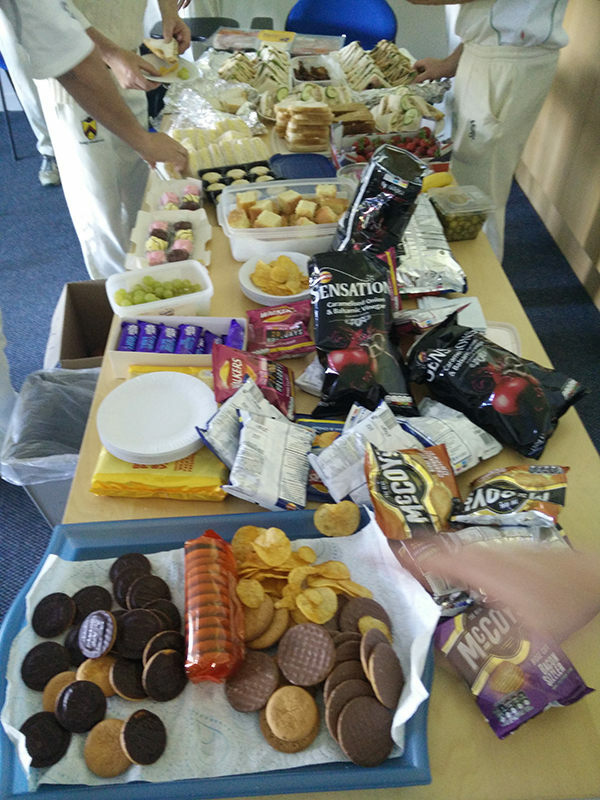 Egg mayo sandwiches, sausages, proper puffed pastry sausage rolls and onion rings were a hit. 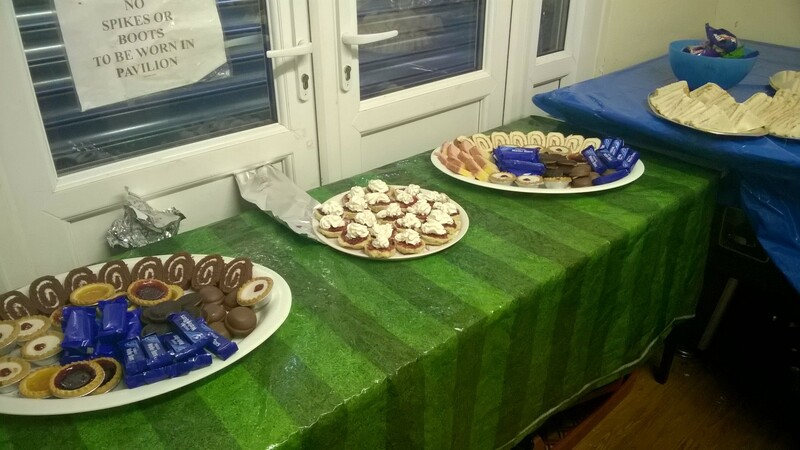 A good variety of sweet stuff, jaffa cakes went down well with jaffa lover Shakey. 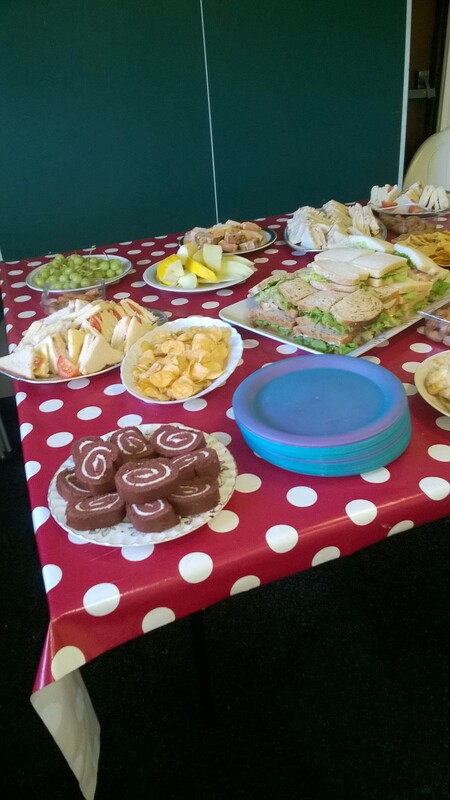 Battenburg, chocolate fingers and swizz roll proved welcome relief at drinks. Rich Tea also made a rare appearance. Coconut marshmallow came as a surprise to Goffy, but actual tea quality may have let the side down a bit - value own apparently. OB1 rating 6.5. 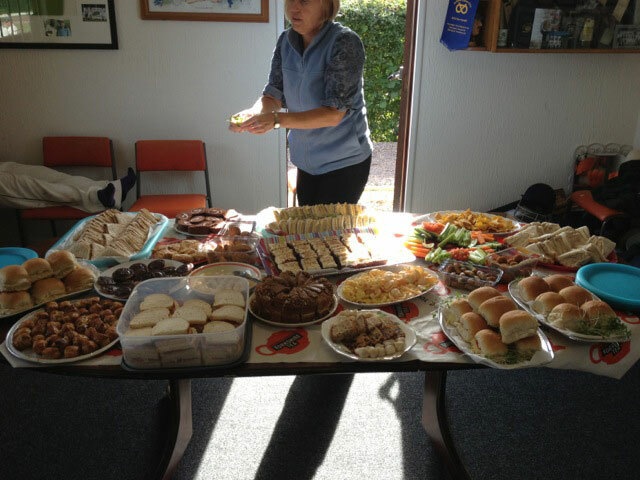 First Home game of the season and Foxy was rolled out to do the tea. 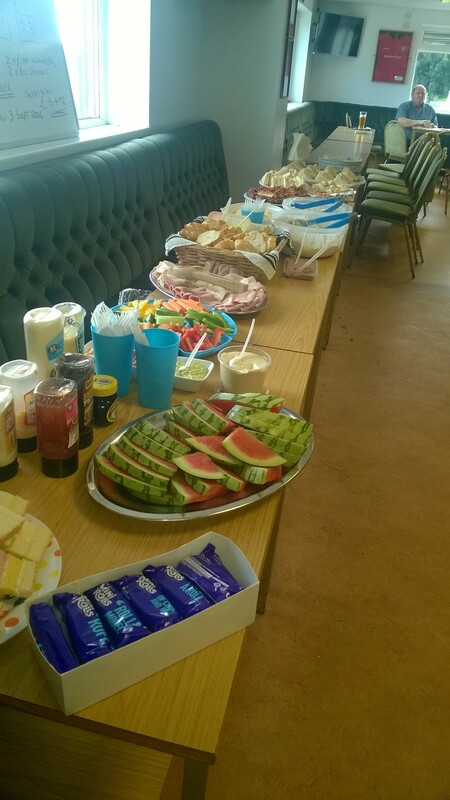 Another excellent spread, plenty of sandwiches, pizzas, pork pies and no salad. 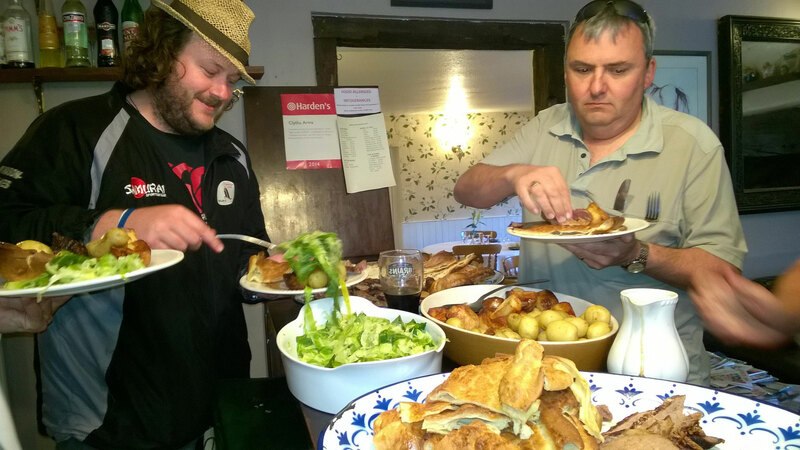 Richie and Andy tucking in. 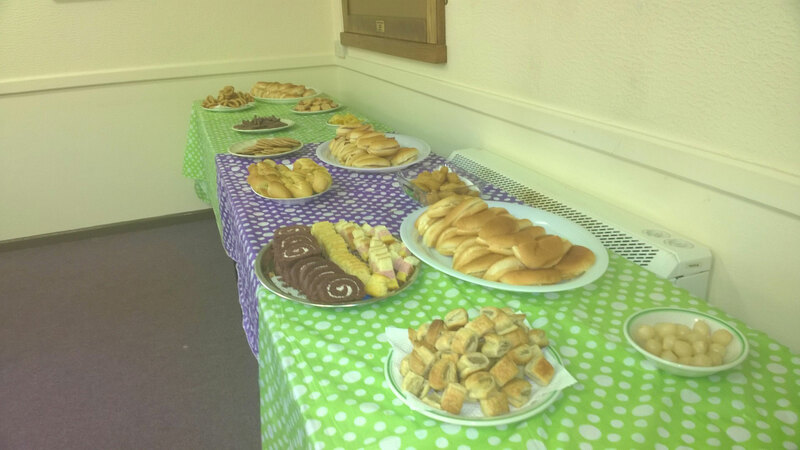 Foxy serving various cakes, as well as some home made victoria sponges - made by Mrs Holliday and Mrs Akbari - fantastic. Home advantage - 10. 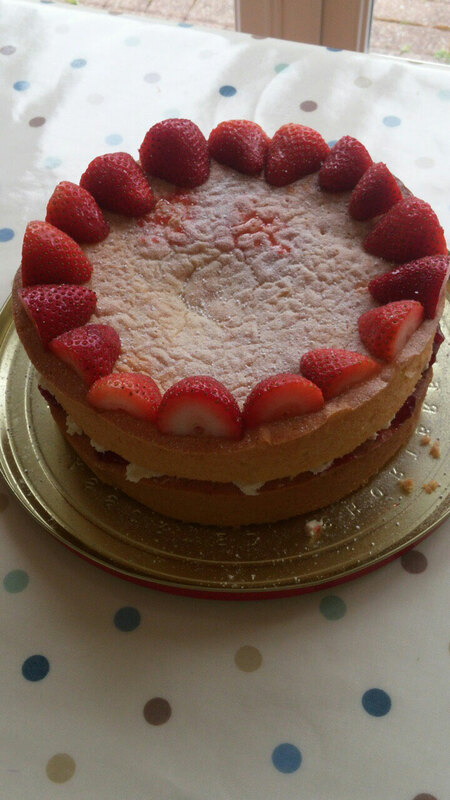 Home made victoria sponge - made by Mrs Holliday. 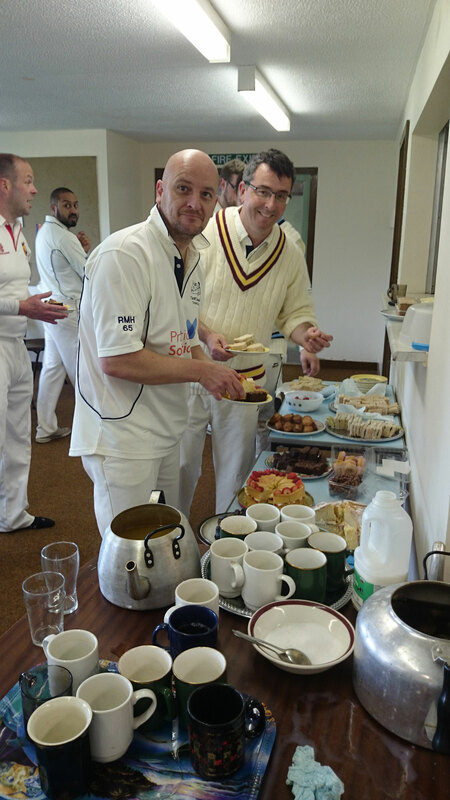 In this abandoned game - apart from Winkie scoring 65 (and Jesus scoring 75) - the highlight of the match was the cricket tea. 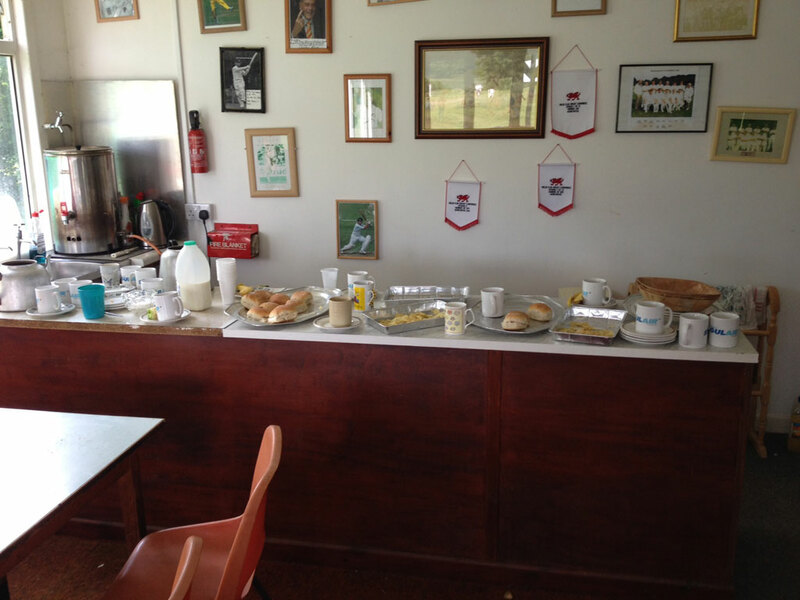 2015 - First game against Sudbrook - the comments about tea were outstanding - set the standard for the remainder of 2015. 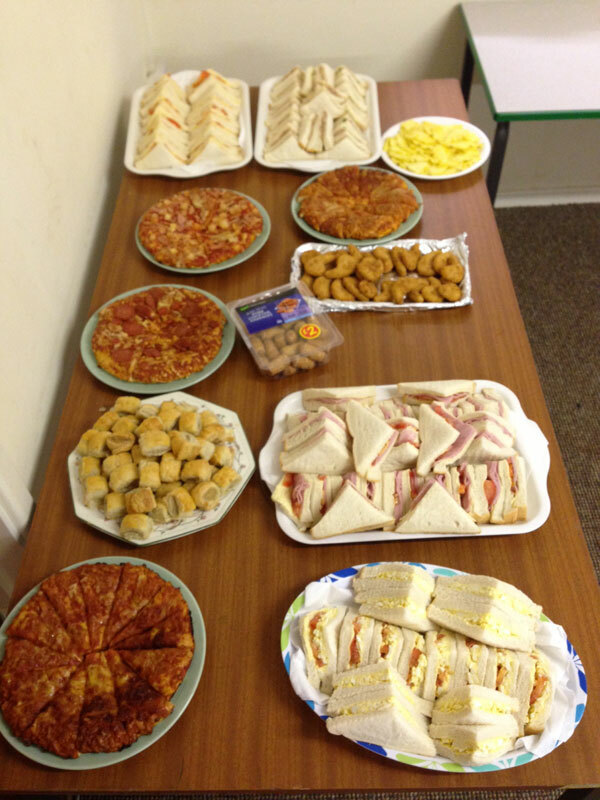 Tea should never go to waste - even if the game is abandoned half way through!! 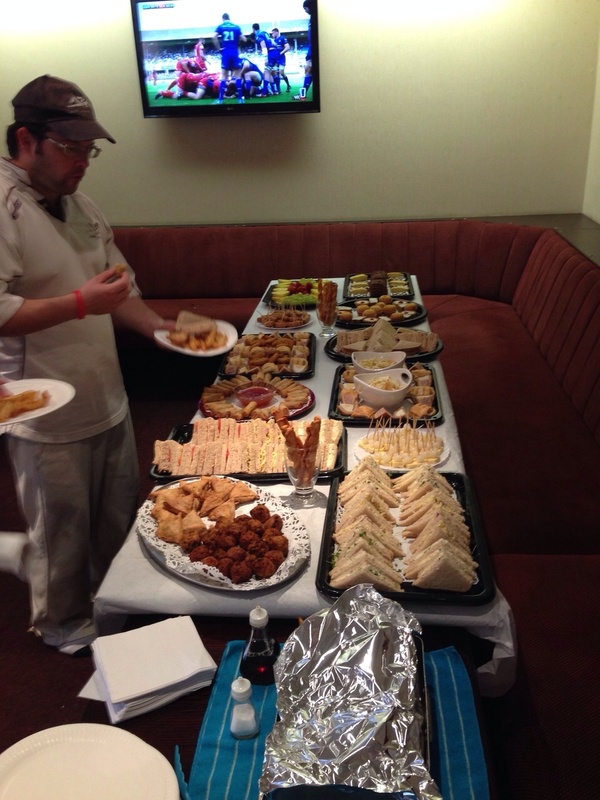 Had Casual Tea Watch been up and running in 2013 - this would have surely made the top 3, if not top spot. Post tea, the Casuals took a while to get up to full speed in the field, fortunately they did so slightly quicker than BW managed with the bat. 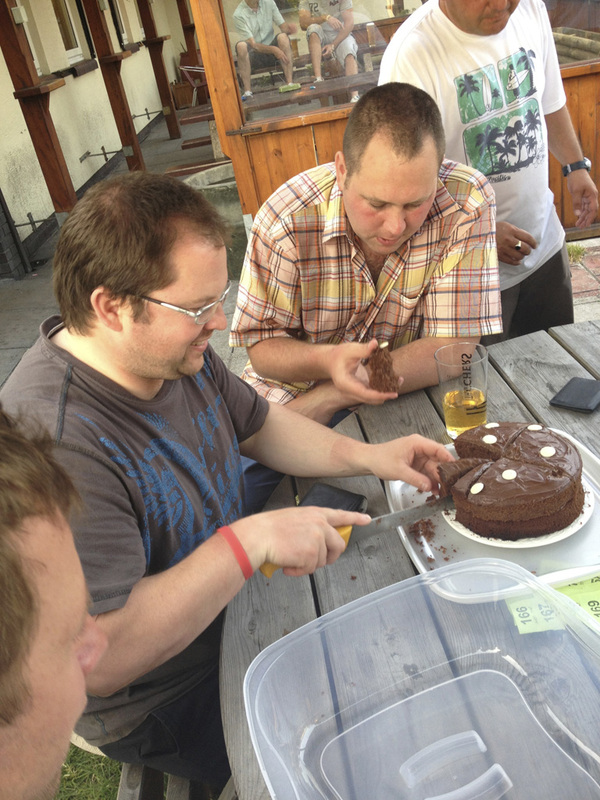 The Cazh then went on to win the chocolate cake in the raffle - happy days!